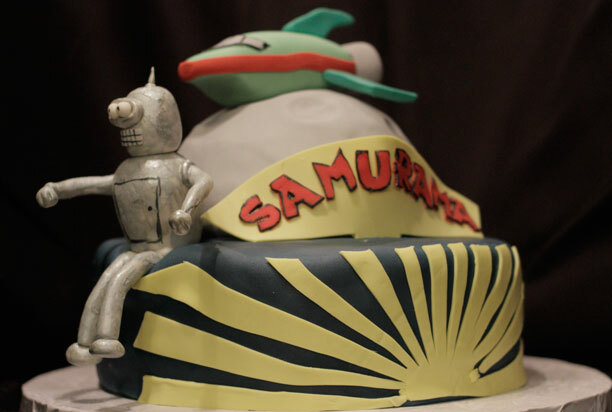 My friend Sam Sleezy asked me to make him a futurama cake last year. I wasn’t ready to make him the cake I knew he deserved and it didn’t pan out. But I was determined to make him a great cake this year. 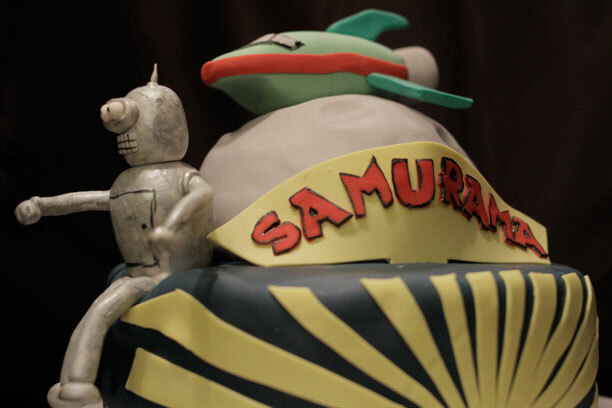 The challenge on this one was making Bender (the robot) and making the sunbeams on the side of the cake. 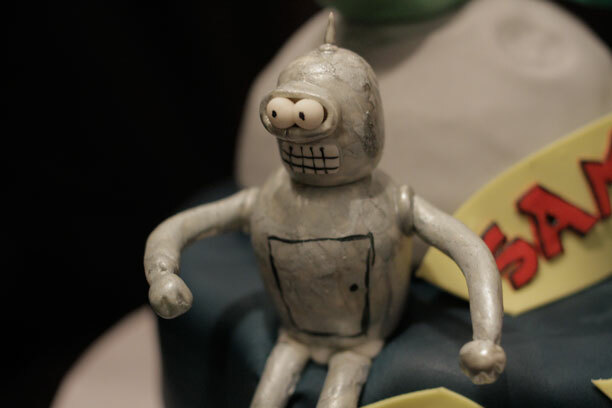 I made bender and the space ship way in advance so they would be nice a dry before they had to sit on the cake. To make the sunbeams, I used the wax paper transfer method. 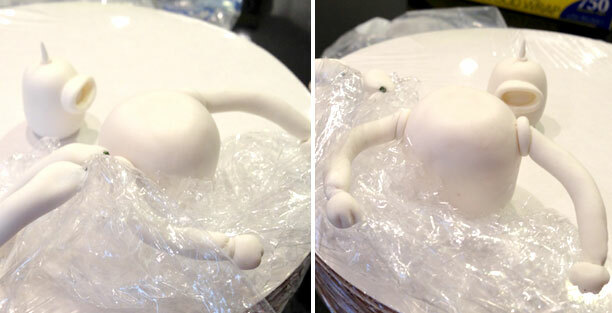 You roll out fondant on to a lightly greased piece of wax paper. Then you make all your cut outs and without removing the design from the wax paper you press it to the side of the cake. That way everything stays in place. I had a little trouble getting it to stick but I think that’s because the cake was too cold. The top moon shape was baked into a round pan and then I used a ball tool to make the craters, much like the space cake I made a few weeks ago. The cake was vanilla cake with vanilla buttercream and covered in fondant. It was a big hit with Sam.